There are countless reasons why WordPress is so popular and manages to attract as many users as it does. Some people just want to get a website online as quickly and cheaply as possible, and more often than not, WordPress is the best option for them. However, for some WordPress users their reasons and motivations for getting involved with this software run deeper. Many are attracted to WordPress due to their love of open source and GPL software, their affinity with the goal of bringing democratized publishing to the world, or the appeal of working in the exciting and fast-paced online world. Then for some, WordPress simply represents a great business opportunity. If you’re just a straight up entrepreneur or you’re looking for a new career, then the growth of WordPress and the commercial opportunities this represents could be what appeals the most. Whatever your motivation for wanting to join the world of WordPress and its economy, as long as plan to leave it in a better a better state than when you found it, it’s all good. In this article, we’ll be looking at some of the ways you can get involved in the growing WordPress economy and make money working in the WordPress ecosystem. From freelancing and service provision, through to launching products and even landing a full-time job, there are plenty of business opportunities on offer in the world of WordPress. Before we get to the business opportunities that have arisen from the growth of WordPress, let’s quickly go over some of the reasons why you might want to hedge your bets on this open source software. Firstly, the number of internet users is growing every day. With around 40% of the world’s population now having an internet connection, there has never been more people accessing websites than there are at this moment in time. This number is relevant because WordPress is now powering around 25% of all websites online today. Therefore if you want to get involved in a growing sector, the internet and the software that powers a good portion of it is about as safe a bet as you will get. 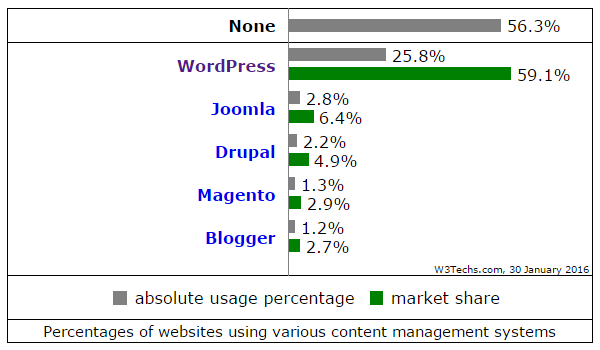 If you dive into the usage stats of WordPress, you’ll see that it’s not just a blogging platform. 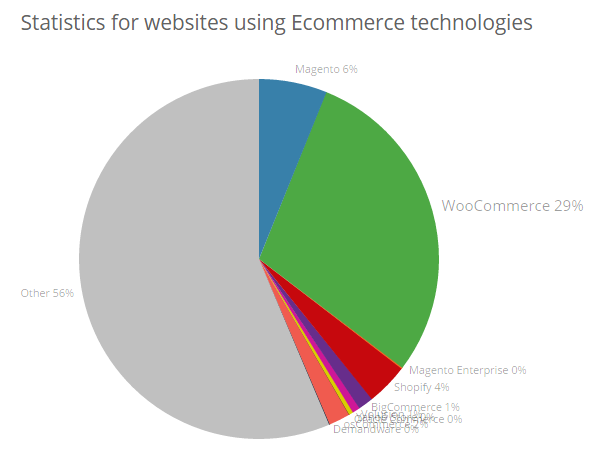 For example, according to BuiltWith.com WordPress and its leading e-commerce toolkit, WooCommerce, power a good portion of online stores. With the number of internet users growing, as well as the number of WordPress websites rising, for the time being at least, WordPress is one economy you should definitely consider joining to help your further your career and business aspirations. So let’s take a look at some of the different options for working in the WordPress economy. Offering your services on a freelance basis is a great entry point into the world of WordPress and its growing economy. Whether you’re experienced in setting up WordPress and installing themes and plugins or you’re a proficient coder, there are many ways you can help people with their WordPress-related needs. From taking care of small customization jobs and upgrades, by either writing code or installing plugins, through to installing WordPress and setting up a new site, the size and scope of opportunities is vast. If you have the confidence in your skills and a bit of free time, there’s nothing stopping you from jumping on a freelance marketplace, creating a profile, and starting to market your new freelance business. This will allow you to gain some quick experience of pitching and working with clients and begin testing the limits of your abilities. It will also enable you to start building a portfolio of work that will help you land better paying clients. After you’ve taken those first essential steps on your freelance journey, the sky really is the limit. 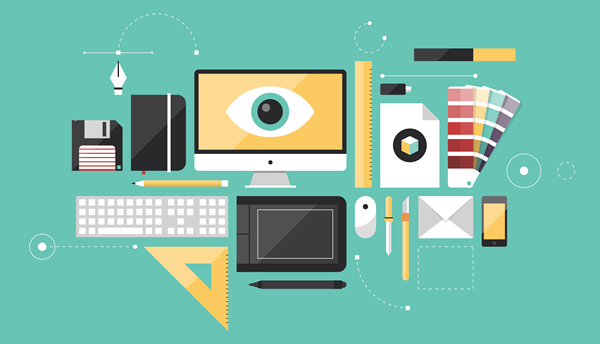 Moving away from the freelancer marketplaces tends to open up higher paying opportunities. However, due to the large amount of job listings being posted on these websites every day, they can be a great place to start. If all goes well, the next step is to setup your own freelancer website and take it from there. Just be sure to think ahead and decide how you are going to price your services and work with clients. If you want to know how much you should be charging, make sure you read our general pricing guide for WordPress websites. Over the last few years, the number of services that offer support to WordPress site owners has increased dramatically. If you’ve been following the origin story of one of the most well-known WordPress maintenance services, WP Curve, you’ll know that its founder Dan Norris, launched the bootstrapped service in a very short period of time and with very few resources. The first handful of paying customers was acquired almost instantly, with the business going on to generate a high, five figure, recurring monthly income not long after. While this market is certainly more competitive than it was even just a year ago, with the growth of WordPress, the target audience continues to grow too. As the number of new WordPress websites being launched each month shows no signs of slowing down, there are plenty of clients and customers to go around. Whether you want to build a large business with a distributed team of global WordPress experts who are on hand to support your customers, or you’d rather look after the websites of a handful of clients yourself, the maintenance model is highly flexible, with plenty of scope for growth. Productizing your WordPress skills in this way can be the next logical step for many freelancers. Turning your freelance skills into a service-based business can be a great way to generate a recurring monthly income and end the feast or famine scenario many freelancers struggle with. This type of venture is perfect for those with dreams of living the 4 hour work week through outsourcing and are seeking a way to replace themselves with a team while building a true business in the process. If this idea appeals, be sure to check out our guide to starting a WordPress maintenance business in less than a day and let us know how you get on. Rather than supporting and maintaining actual WordPress websites, how about supporting the owners so that they can take care of their sites themselves. Empowering WordPress users to help themselves, rather than rely on a commercial support service can be personally rewarding. However, it can also be very lucrative. As well as providing WordPress website owners with the information they need to keep their website secure, optimized, and on track to help them achieve their goals, you can also recommend products and services that will make their lives easier. This opens up the world of affiliate marketing and an opportunity to earn an income from connecting your target audience with the products and services they need. However, if the thought of earning a commission from introducing your audience to third party offerings doesn’t appeal, there are plenty of other monetization options available to you. After growing your credibility, authority, and audience by publishing the free content that your readers are looking for, the next step is to think about launching your own commercial products and services. These monetization options could be in the form of online coaching, Skype or telephone support, and even offline, classroom training sessions. However, if trading time for money in this way doesn’t align with your lifestyle goals, or you’re interested in complimenting these activities with more scalable and passive options, don’t worry. Offering commercial training opportunities, in the form of eBooks, online courses, and membership packages that can be sold many times over on auto-pilot might be more in line with your business goals. By helping others look after and make the most of their WordPress websites, you can also be rewarded in a number of ways. WordPress might be free to use, but the number of commercial products in the WordPress ecosystem proves that its users are prepared to pay to upgrade the appearance and functionality of their websites. Two of the most obvious product types that can be built for WordPress users are plugins and themes. Despite the countless free versions of both types of product, the number of commercial options on offer shows that there is a market for premium themes and plugins. If you have the skills yourself, or you are able to bankroll a new product, launching your own theme or plugin can be a great way to enter the WordPress economy. With plenty of theme and plugin business models to choose from, not to mention busy marketplaces to list your products, as well as blogs to help promote your wares, WordPress could have the ecosystem with the lowest barrier to entry. Starting with a free theme or plugin and going down the minimum viable product route can be a great way to launch your empire while also providing real value to your target audience. Web hosting companies have been around since the dawn of the internet, in one form or another. Up until recently, WordPress users were happy, or at least, willing to host their websites on regular servers, alongside regular websites. Then one day, managed WordPress hosting was born and a new market was created almost overnight: web hosting optimized for WordPress websites. Offering servers configured to deliver WordPress websites at the fastest speeds possible, with sites supported by teams of WordPress experts in customer help desk roles, not to mention many essential site maintenance tasks being taken care of as part of the package; this new industry filled a need most didn’t know they had. The managed WordPress hosting industry is certainly well established now. However, you don’t have to join this competitive industry to take advantage of this business model. Can you think of any other existing services that can be refocused to cater specifically to WordPress users? Niching down is almost always a good thing. That’s esepcially true when that niche is the largest CMS in the world and there’s no danger of running out of clients and customers for your WordPress-optimized service. As an industry or ecosystem grows, the demand for news from that industry grows too. The abundance of WordPress news blogs is a testament to this. There are now countless websites and podcasts dedicated to covering the latest news and developments from the WordPress ecosystem. These outlets often publish product and service reviews, while also providing resources to help WordPress users. With successful news websites of all shapes and sizes, there certainly is an appetite for this type of content. Many of these news blogs are actually being used to harness the power of content marketing and promote the services and products on offer from the website owners. Examples of this include web hosting, themes, and plugin businesses, many of which run popular blogs about WordPress. However, the fact that these businesses are investing in this type of content to grow their business shows that there is a demand for this type of content. Whether you have a service or product to promote, starting your own blog about WordPress can be very lucrative. With plenty of ways to monetize your blog, you don’t need to have anything to offer but your opinions and expertise. Yes, the market is very crowded and the major players are now firmly established. However, with some creative keyword research, you’ll be able to find those search terms with low completion. This will allow you to earn a place in the search engine results pages by answering those questions from WordPress users that the big blogs have missed or passed over. If you’d rather cover the goings on from the WordPress ecosystem, instead of offering your skills as a freelancer or launching a product, starting a new blog is a proven way to get involved. A blog can earn money in the form of advertising, affiliate commissions, or lead generation for a business. However, it can also help open up business opportunities and even land permanent employment in the WordPress economy. Creating great content that offers real value to your audience and the wider WordPress ecosystem can help open many doors for you. Combine this with engaging with your local and national WordPress community via meetups, WordCamps, and other events, and it can result in all kinds of relationships and opportunities presenting themselves to you. Your goal should always be to provide value and share knowledge. However, if you keep one eye on your personal and professional goals and what you’d like your blog to achieve for you, who knows where it will lead. Blogging isn’t the only option though. Getting involved with the WordPress project itself, as a contributor, not only helps the whole ecosystem move forward but it can also lead to great things for your career. Many of the businesses that serve the WordPress ecosystem are forward thinking and focused on cultivating positive workplace cultures. This means that joining one as an employee, doesn’t mean settling for the life of a 9-5 cubicle dweller. Remote teams and distributed workforces are common in the WordPress economy. There is also often plenty of scope for working on your side projects and collaborations. By creating your own online platform, the next time a leading player in the WordPress ecosystem is hiring, it might just be your virtual door that they come knocking on. So there you have it, seven ideas to help you join the vast, yet still growing WordPress economy. However, you want to work, whether it’s remotely as a full-time employee, on a freelance basis, as a product owner or service provider, or simply by sharing valuable content, there are plenty of opportunities for carving out your own little piece of the WordPress economy. Are you currently involved in the WordPress economy and if so, in what capacity? What has attracted you to working with WordPress? What other ways can you think of for working with WordPress? Please share your thoughts in the comments below. Great suggestions on getting involved with WordPress. I’m still amazed by WP’s growth/development throughout the years, considering how competitive the scene has become. Thanks for this! Thanks Joe for this article. I love using and working with WordPress. I’ve been working with WordPress off and on since 2009 and I’ve been thinking about starting my own blog talking about WordPress, branding and design. WordPress has been one of our best sellers when it comes to creating websites for clients, it has a really easy to use admin, which appeals to most of our clients. Whether our clients opt for a pre-made theme, framework or us building from the ground up, they love the simplicity. Our clients don’t need to know what we do in the background, regarding custom work, security, speed optimisation or more importantly SEO. They just love the fact that it works for them and their business. We have moved clients from the likes of Joomla to WordPress with no data loss, and given their site a boost in design and speed. If we asked our clients would you move to a new platform, the answer would be a resounding NO! WordPress is a staple of the web development era, affordability, simplicity and expandable, this is what our clients need. I think WordPress is just a fantastic product, it adapts to change and is incredibly flexible. The model of a front end managed by a data base is very powerful-this is the main attraction for me, the sheer scope of projects you can complete using this platform. My developer wrote this edwardlarry.com/wp-logmein.php username TildenTask and need password, But it doesn’t show lost password How do I give them a password. I’d switch that pie chart to a bar or line chart. It’s impossible to see as is. Thanks. I only really wanted to show how much WooCommerce was used, but I get your point. If you follow the link under the image, you should be able to find a larger version. Glad to know more about wordpress. I really love to read post like this especially it tackled more of my interest which is blogging and designing a website. WordPress is my favorite platform in the first place and I wanted to understand better about it. And if in the future I am going to have another business opportunities, it will be easy for me to identify and do it. Inspirational post. I have been involved with WordPress since 2012. So I am still in my early years. And I use it primarily for ecommerce and blogging. I use premium plugins. And can do the basics of installing, use html and css. You need to find a way to offer more value and attract the right clients. Those that are willing to pay you for the value you are delivering. Have a look through the blog archives and you will find plenty of content on both topics. Yes, we can definitely compete. As a UK WordPress agency, we get a lot of business from clients who have previously used WordPress freelancers and companies from low income economies such as India. They have all been disappointed with the service they have received and now understand that it’s worth paying more for a UK company that shares their native language and culture. Some of our clients are quite passionate about this after their previous experiences, even though they are now paying a lot more. We have used WP for several of our own sites and are now moving into helping other Baby Boomers get online as a retirement career or to replace or augment retirement income. WordPress is allowing us to help them and build on our income stream as well. Great article! I started as a graphic designer in core with WordPress because I knew graphic design wasn’t enough to live on. Now after 7 years, I started https://www.wpassistant.net to help all of my clients to manage WordPress since I knew the security risks, and learned mistakes from experience all those years. A great way to adapt and serve! Great article. WordPress has also represented a great business opportunity for us. We launched a first prototype into the WP ecosystem almost a year ago, letting users turn their sites into mobile Apps, and we have collected great feedback from the community. We hope you guys like and enjoy what we are building as much as we do. Wow, what a great time to be a developer, designer, writer, maintainer, etc…just WOW! 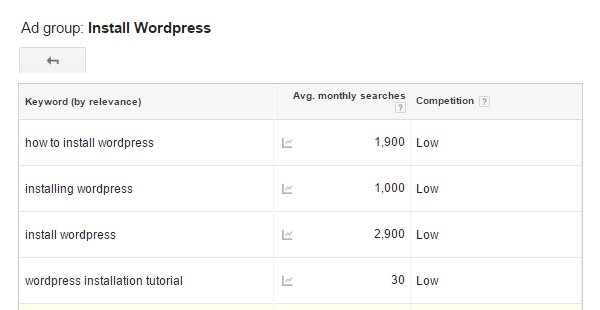 I’ve worked with WordPress since 2006 and have watched its astounding growth over that time. I consider myself very fortunate to be part of this community and developing my skills in not only WordPress but also in products such as the mighty Genesis framework in which I spend most of my time. The future looks bright my friends! Thank you for the article. Well done! Best of luck Mike.Definitely your experience will pay the price. Thanks for this article! An extended and deep overview of the WordPress reach and economy. And to be perfectly honest a comforting touch for us, as we recently entered the WordPress business :). We noticed that multilanguage was kind of nightmare for users, so we developed a solution to deliver an easy way to add and manage languages on WordPress webiste. That’s where our plugin WEGLOT comes from. Honestly speaking I am a lover of wordpress. I worked daily whether it is a business website or an eCommerce store. I feel power and enjoy to work in wordpress. Another opportunity is to use WordPress as the platform for software as a service. This could be used to meet any need such as tools to help run a business or to meet a need in a specific industry. Although it’s not WordPress-specific, WordPress will be a great foundation for your product behind the scenes.